Aim for practice and inviduality in your art. If your art look like it's from almost the exact same posture or lines, and two images are pretty much identical, your Fate Points might be halved or denied. Motivate yourself to try new things and learn! Here's an example of what is not acceptable. The image must be at least 300x300 in size, and the kuku inside around 150x150. In other case the points may be halved. Most of the markings should be somehow visible, preferably ones that are very prominient on the design and makes the Kukuri recognizable. The shades need to be visible more than by just squinting, and little more than little shadow under chin and tail, for example. Needs to be little more than a color gradient. We will compare to your gallery. When the Kukuri is 150px*150px or smaller, bigger pixel art counts for normal bonuses. Headshots are half the amounts. Main Kuku: There must be at least 1 Kuku which appears through the whole story. Side Kukus (Whole story): A side Kuku NEEDS to have impact in the story, they can not be offhandedly mentioned every now and then. Side kukus (Part story): A kuku that appears only momentarily in the story and is not present during the whole time. Can be multiple. Part story word counts: A Kuku who only appears for a moment gets their FP only from the point they appear to the point they leave the story. Literature points will be rounded up. -Other ARPG species, with the same rules as the other kuku bonus. LINK TO THE ARPG SPECIES' IMPORT. Other bonuses are easily exploitable or cheatable, so they are not available for the literature. They are counted already in the points given. If your story begins in a way that neither your main kuku nor any other kuku is present, you get half the FP during that duration, up until your main Kuku appears. Those half-FPs go towards your main kuku. - Personal bonus, remember that your work should never be posted in sta.sh on any part of the group! - Collaboration bonus, this replaces the personal bonus. All artists taking part of the collaboration are eligible for this bonus. 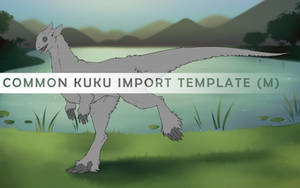 - Mascot priviledge (Kiwi), gives +2FP to the Kukus owned by the artist when depicted with Kiwi 100. This bonus is given on top of the Other kuku bonus. - Kukuri bonding. With bonding for love training, a kukuri pair will be tied to each other, gaining +2FP bonus when portrayed together in an image or a literature. These are eligible no matter is your art headshot or full body. Anything higher up than average animation. If there's only one body part moving in complex ways (head, for example), the bonus is +1/unique frame. Non-colored animation is half the points! Doesn't need to be store bought. It either needs to be on Kukuri, or very visibly a tack/armor in the picture, as in big enough that it's easily noticed and clear enough that it can be recognized as a tack/armor instantly. A tack is gear, so things like saddles, harnesses, cart hitching gear and so on is considered tack, but clothes and alike are not. This replaces the personal bonus. All artists taking part of the collaboration are eligible for this bonus. The panels must be meaningful, and have either a Kukuri or background/character with effort in it. Re-used panels/backgrounds do not count towards this bonus, likewise panels which do not forward the story at all (for example a leaf falling). Won't apply if the comic has 3 or less panels. Must be at least 50% visible, and only counts for the Kuku(s) who have the familiar. Does not stack. Must be at least 50% visible and not a small dot which needs to be squinted at. Stacks only once, but all the Kukus in pic get the bonus. A handler can be a creature from other ARPG and gain the other arpg species bonus, HOWEVER it must follow the usual handler rules: The handler must be a sentient being with their own will, and the handler must possess thumbs or be in a form that possesses thumbs. If an extra Kuku is included in the activity picture so that they do not gain the loot, they also won't get this bonus. Kukuri must be at least 75% visible to get this bonus. Does not stack. Must be at least 50% visible. Link the arpg species' import image or their group in the description for this to count. If not colored and shaded, the bonus is +1. Needs to be at least 50% visible, and not owned by you. Stacks max 5 times/picture, and the kukus must be clearly interacting with each other instead of just hanging around the same canvas but different pictures. LINK THE IMPORTS IN THE DESCRIPTION. This is a bonus which only applies to your Kukus drawn by you. Simplistic art: Half the points. We will check your general gallery for does your art actually check for "Simplistic" art, or is it your general style. We do not want to discriminate against any art style, and if you've clearly put lot of effor in it, it will be counted for full points. With bonding for love training, a kukuri pair will be tied to each other, gaining +2FP bonus when portrayed together in an image or a literature (fullbody, colored and shaded). Gives +2FP to the Kukus owned by the artist when drawn with Kiwi 100. This bonus is given on top of the Other kuku bonus. 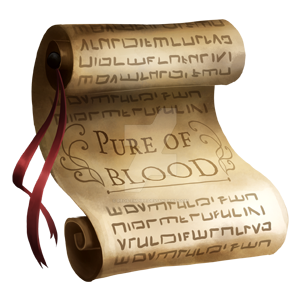 100 FP - The experience has shapen your path, and those around you start to see it, and acquire the rank "known". Your mates won't turn you down (mutations may override this), but you may still result in an empty nest. You receive one skill point (+1 SP) (2 SP in total) and +5 breeding slots (10 breeding slots in total), and you may add up to 2 familiars to your Kuku (You may not equip familiars before this rank). 150 FP - You're on a good roll, and have been promoted to the rank Zeta. When bred to another Zeta or above, you have no chance of producing empty clutches (Mutations may override). +1 SP (3 SP in total). 300 FP - As your experience grows, the others start to respect your power. You've been promoted to rank Gamma, and reveive +2 SP (6 SP in total), and may add up to 3 familiars to your kuku! 500 FP - Congratulations! You've been promoted to Alpha. As a result you get +10 breeding slots (30 in total) and +2 SP (10 in total), and may add up to 4 familiars to your Kuku! From now on you'll receive +1 SP for every 100 FP. 750 FP - You have seen the world and found your place. You've been promoted to Blessed, receive +10 breeding slots (40 in total) and extra +1 SP (13 SP in total). 1000 FP - Not only the world, but you've experienced the life of those living on it, seen it's wars and it's peace. 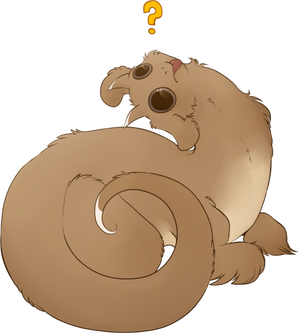 You've reached the status Arisen - no matter what rank you're bred to, there is no chance of empty nest (mutations may override), and there is a 10% chance that you have a chance of rolling 4 egged nest, and you may add up to 5 familiars to your Kuku. You get + 5 extra skill points (plus the +1SP from alpha perk) (21 in total), and from now on for every 100FP you get +5 breeding slots and +1SP. After 1100 FP miniatures receive +1 slot every 100 FP. Every Kukuri starts their life with three basic attributes, strength, defense and speed. When they're born, these stats are at 0. When you reach certain amount of Fate points you may unlock a new skill point, which you can then decide on which attribute you put it on - choose wisely, as different attributes improve your chances in different events and competitions! A kukuri can have max 30 skillpoints in one stat, and they can further be improved only after all the stats are at 30. Skill points are potentially inheritable. A parent which has 10 skill points (and every 5th afterwards is also rolled) has 10% of chance of passing a +1 bonus on that skill what the parent is potent at! For example, if you had a tail wag and a blink would it include both simple and average or just average? Please try to keep all questions in Questions and answers journal, otherwise your question will be ignored. For the ARPG bonus can a closed species import count as well? Or a established adoptable? The other ARPG bonus comes from those games that have some kind of leveling up system. 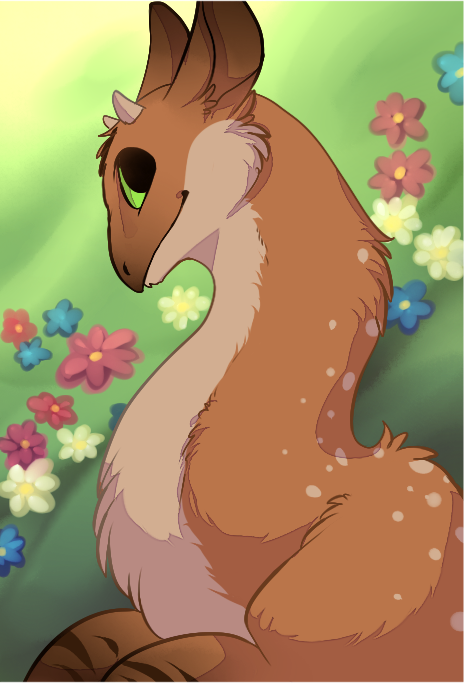 Just curious: If you draw a piece of art and post it to the kuku's FP tracker, would an admin count that picture immediately(ish), or would they wait until I post a status update and then count all the pictures I drew? Im confused... Im currently making a Fp tracker and got stuck on the breeding slots. My kukuri has no rank and I was confused does she have only 1 breeding slot or more? 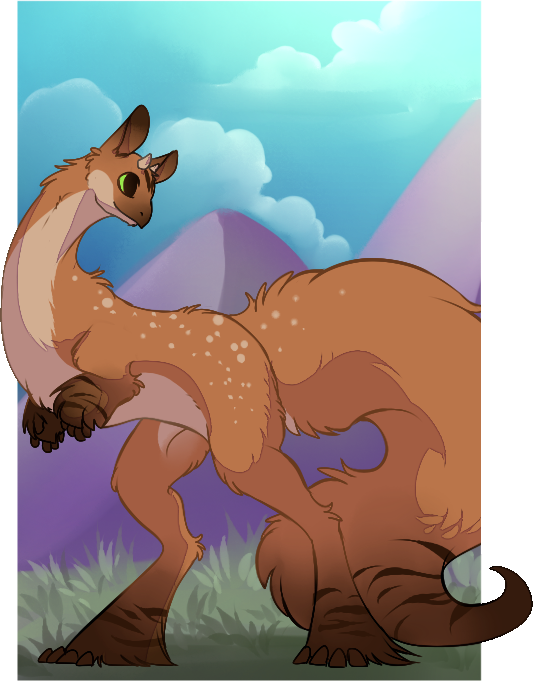 A quick question, does 9 full body pictures without a background and shading count as 45FP and can they be in one big picture? I'm not sure, I did try to count it and I might try to make backgrounds but I want to be sure. I'm curious, does Sketch count as base points? A sketch would count for base points as long as at least some major marking is visible in the sketch to make the kukuri recognizable. A sketch with just line work with nothing more would not count for any points. Hey, where would I be able to get my FP/drawing points officially approved? im no admin but i can help you ! Status updatesIf you have collected enough FP for your Kuku, you can rank them up and gain benefits for doing so! Post your Skillpoint upgrades here! 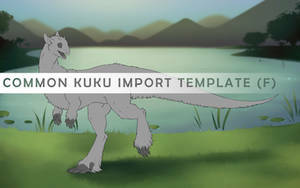 I'm unsure if your kuku is in a BTT do you get extra points for that like you get +2 for Hunting/Gathering/Excavating/Traveling? Like is it covered by the activity letter prompt? Hey there! There is no FP Bonus for training images like there is for activities! I do not understand the question about the activity letters. Could you clarify? I am in general just unsure what activity letters cover? If that makes sense? Hello! I am new to Kukuris, but I am interested in the group. I have a question, though: Do you have to earn points to stay in the group? For example, you must earn x amount of points per month to remain in the group, and if you fail to do so, you will receive a number of strikes until you are kicked? How lovely! I’ll be sure to look further into it! I can see a lot of time and effort was put into the group - it is so detailed with so many links! Thank you! Would poseable paper dolls count as handmade sculptures? How do you apply skill points? Just post in the edit import thread? This is good idea! We'll add them with next update, thank you for suggesting! I just have to be sure with the points for extra kukus. If I for example have drawn a picture of my own kukuri with two kukus I do not own, does that mean when I calculate FP I should add +4 for other kukus? I was curious if I can roll any kind of FP for my Kukuri Handpuppet! Would he count as sculpture or something else or just not roll FP? My apologies for the terribly delayed response! Thanks! <3 No worries, I know you guys gotta lot to do! Every time you or someone else draws your Stryx, you accumulate points called AP (Ascension Points). The more points you get, the closer to Ascension you become, with all its perks and bonuses, and extra breeding slots! You will also gain access to certain activities not available to you before. So let's see how the AP will add up! Use our AP Calculator to help you! Your Stryx's status is based on how many Ascension Points you accumulate for them, and the further they can go in the game! You may add minor paint/accessories to your Stryx Import.